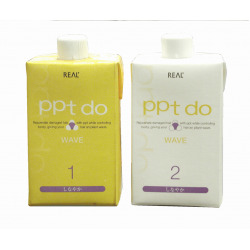 A conditioning wave perm for damaged hair. These cysteine solutions are infused with high molecular weighted kertine PPT and ions that bring out great textures by enriching hair with the proteins vital to maintaining curls during and after perming process. 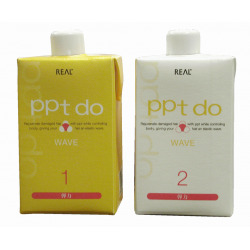 PPT-DO Wave There are 2 products. Contains higher dose of cysteine which helps create light distinct curls that are both bouncy and manageable. Silk PPT and marine collagen works to create supple yet natural curls.